On January 28th, Deniz was a guest on Empire Industries’ Real Estate Wealth Building Podcast hosted by Steven Rozenberg. If you attended the 2016 Inspired Growth Conference , you will remember Steve had several presentations. Back in November, Deniz was interviewed on the Property Management Podcast produced by fourandhalf.com. 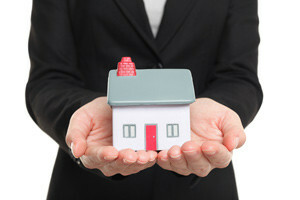 4 new lead sources a BDM can bring to your property management business. Common blockages BDMs uncover when it comes to leads. How to incentivize a salesperson or BDM to sell beyond their sales goals. The big mistake owners make when employing a property management business development manager. While traveling in the United States this month, I had the opportunity to meet with Brad Larsen and record a podcast for his Property Management Mastermind Show. During our conversation, we cover a wide range of topics of interest to any property manager who wants to excel in the industry. We spent a fair amount of time talking about business development managers. When is a good time to hire one? How do you hire and compensate the right person? We also discuss the importance of implementing a CRM system early on and how knowing your closing ratio is critical when determining what is working. Listen to the interview below. 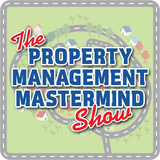 Find more podcast episodes full of ideas you can implement in your Property Management business at The Property Management Mastermind Show. Don’t get into the mindset of this won’t affect me, because the easier things become for people, the more people will then jump on board. More and more people will manage properties themselves, if they feel they can do a better job, or they’ve previously had bad experience with an agent. An easy approach to help people who decide to manage properties themselves is call them up and offer them some assistance. I can hear you all cringe right now, “I’m not cold calling” Firstly, this is being proactive in growing a rent roll, but the point I’m getting at is, if you want a warmer approach, offer them some assistance, don’t call and tell them they should be using you. Offer to send them some information that might help them lease the property faster, such as “16 tips to reduce your stress levels as an owner” This at least opens the door to build a relationship, send them something, (don’t miss the chance to send some information on your company) Then you can give them a follow up call in the next few days asking if the received the information, and how’s the leasing going? This is branding your name, your company and it’s a very warm approach, not hard selling. A few more options can arise from this, offer them a let/lease only service (again I can feel the moaning) but you can convert lease only business into full managements. An office I train just converted 5 properties from ONE call to an owner who had a property vacant for over two months. If you would like a free copy of “16 Tips to reduce your stress levels” contact me at deniz@inspiredgrowthtraining.com. You can split this up into your own wording and make it 5 or 6 tips, even create some blogs around them. Now don’t forget to then add them to your contact management system and database for newsletters. I hope your New Business is on Fire, if not give me a call. How Are You Handling Your Leads? Are you sure that your office is recognizing all the leads coming through your office door? Have you got a system in place that’s monitoring this? Are leads coming in, and you’re office just isn’t converting them into listings? How can you fix this? AND do you know what to do next? Well the below information is what Deniz does with agencies he trains, so as a partnership, we can turn that around and convert more listings for the office, and WIN more new business. Are you not growing at the new numbers that you would like to achieve? Most agencies I start to train need to be working on B more, then when we dry up the leads that are leaking out, we move into A….generate more leads. (Do you currently have targets / what has been the performance since the commencement?) this will provide bench mark to improve. Do you have a growth chart in place? If so great as it should be reviewed weekly, so you can ascertain what the next steps would be (Are you on track to reach the goals? If not…work on how you’re going to reach them). Set up a growth chart with each month on it with goals and targets being visible to all. Do you have current method of tracking the leads? It’s important to all business that you have a system of tracking your leads. Your office needs to know where your income is coming from, so you can set a strategy for continued growth, and work on what areas your office is lacking. HOW can you fix, what you don’t know is failing? Its great getting the leads in, but we are here to grow the business. This now takes us to the next step. What’s being done with the leads? This is having a KPI system that you monitor weekly, to ensure that your listing agents are working to the fullest capabilities. The KPI system will help your office, so you can see where the office is losing the business, helping with understanding where the leads are being lost for the next step. Work with your staff individually so you can get the best out of your listing agents. Have meetings with them and work out why and how they’re losing the business, so you then can work together on scripts and dialogues for practice. Roll play together, yes it’s uncomfortable to do this, but better to make the mistake in front of your staff than to a client. More practice, more knowledge you gain from this, the better they’ll get, so they’re prepared for the real life client. Even if you lose the listing, this doesn’t mean that you STOP calling the client, put a plan in place to keep in contact with your leads, continue the relationship, and work together as a team within your office on when you need to follow up. The grass isn’t greener on the other side. 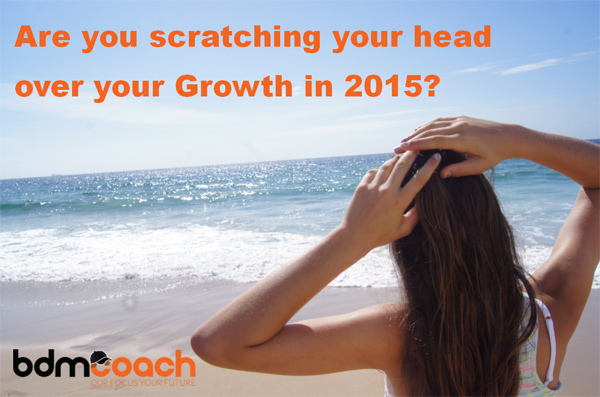 Contact the Coach today so you can get back on track for Winning more New Business. Why Did You Choose Real Estate As A Career Choice? Learn how Coach went from being in the fruit and veggies business to real estate by accident, this short video shows you Deniz’s very first challenge into the real estate game. A great deal of people think they have to have years and years of experience with accreditations just to get into real estate, after you watch this video, you’ll see it can be a simple challenge with some motivation to get you there. Feel free to contact Deniz if you’re thinking about joining real estate or wanting to become a BDM. Why Did You Branch Out Into Consultancy? After winning back to back Excellence in Business Development awards with Leading Property Managers of Australia, Deniz discovered there was a need for training programs for BDMs. Deniz gained confidence by networking and attending training, then implementing what he learned back into the office, you will hear that Deniz called and spoke to consultants and other agents he’d met. Networking in Real Estate is an important factor and can open many doors for you. Deniz’s coaching service trains you how to network to take you to the next level as an agent, so you can become the market leader in your area. Contact Deniz Today if you want more information on how you can take your real estate career to another level. What Gives You A Buzz In Real Estate? Learn how Deniz’s competitive nature allowed him to find a buzz at different points of his real estate career, from being a leasing agent, to educating potential landlords why they should use his services, through to helping other agents become successful listing agents by passing on what he learned to them. While watching the short video you can see his face light up when speaking about how he enjoys helping people and that’s what motivates him to train to his full potential. Deniz now trains agencies on how they too can get that same buzz, his mentoring & coaching services are being used across Australia & New Zealand, implementing the most up to date systems so your office can create the same winning atmosphere. 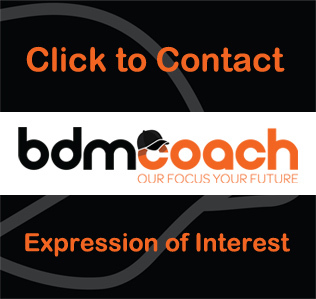 If your office is wanting to achieve more leads or better conversion rates, just like other offices Bdmcoach is training, so you too can get the buzz, contact the coach today for some information on a consulting packages or a tailored coaching and mentoring programme to suit the needs of your office.